My husband and my 6-year-old son love this Creamy Parmesan Popcorn from Chef Tony’s. I bought several tubs of this at Robinsons Galleria to give to my teammates during our early Christmas get-together last November. I kept two tubs at home, and we only opened them a week or so after our party. Well, I can say that my boys were hooked on this slightly sweet, slightly salty and cheesy gourmet popcorn because they didn’t stop until they finished the entire tub. The little boy actually didn’t want to share the tub of popcorn with his dad, but he couldn’t do anything about it. Lol! What is your favorite Chef Tony’s popcorn? 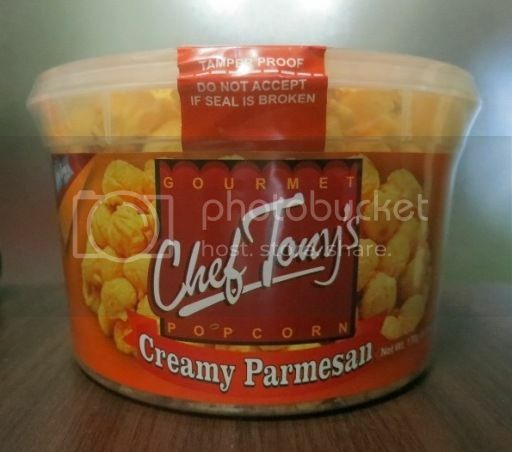 This entry was posted in Chef Tony's, Creamy Parmesan Popcorn. Bookmark the permalink.